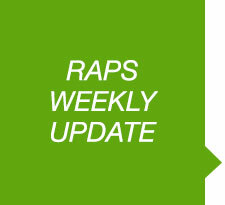 Sent electronically to more than 14,500 regulatory professionals each week, RAPS Weekly Update, connects and informs regulatory professionals globally, providing a glimpse at some of the most notable regulatory happenings with international impact. RF Today is sent electronically to over 22,000 subscribers every morning, and serves as the ‘must read’ daily for regulatory professionals looking for the latest updates on news impacting their profession. An over 30% average open rate means that advertisers in this piece have an extremely high visibility level.